A lovely example of this key date shilling. Attractively toned both sides and fully lustrous. 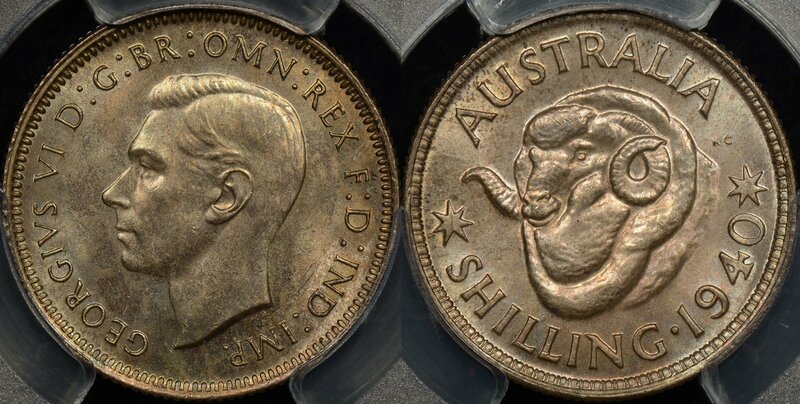 Just 6 coins graded higher (January 2019).